U.S. and Afghan forces raided a Taliban prison in Helmand province Jan. 20, rescuing more than 60 Afghan security forces, senior Afghan defense officials told Military Times. U.S. officials provided few details about the operation. The secretive operation is the second major Taliban prison raid in the province in the last week. In the past several months, four Taliban prison raids have been carried out by Afghan forces, three of those occurred in Helmand. Afghan commandos carried out a nighttime helicopter assault on a prison in Helmand’s Nawzad district Jan. 18, rescuing 13. “After eliminating five Taliban fighters guarding the compound, the Commandos freed their shackled fellow citizens from the building’s basement,” according to a Defense Department news release. 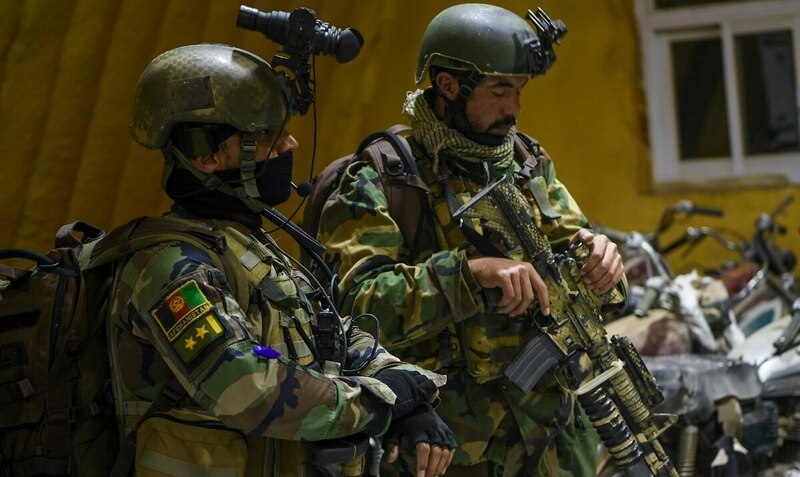 And on Jan. 1, Afghan special forces hit a Taliban “Red Unit” prison compound in Nahr-e Saraj district. The “Red Unit” is the Taliban’s elite commando force. The group is capable of night operations and employs night vision devices. Afghan and U.S. forces have been on the offensive against Taliban militants in Helmand. In November, Afghan and U.S. warplanes began targeting Taliban narcotic revenue streams, striking drug labs primarily located in the part of the province, long a Taliban stronghold.